Posted on July 2, 2018 | 39416 views | Topic : Featured Dev, Latest News, News & Articles, Property News, Special Focus, Video. Aesthetically-designed Brooks & Bridges to enhance the quality of residents’ lives. 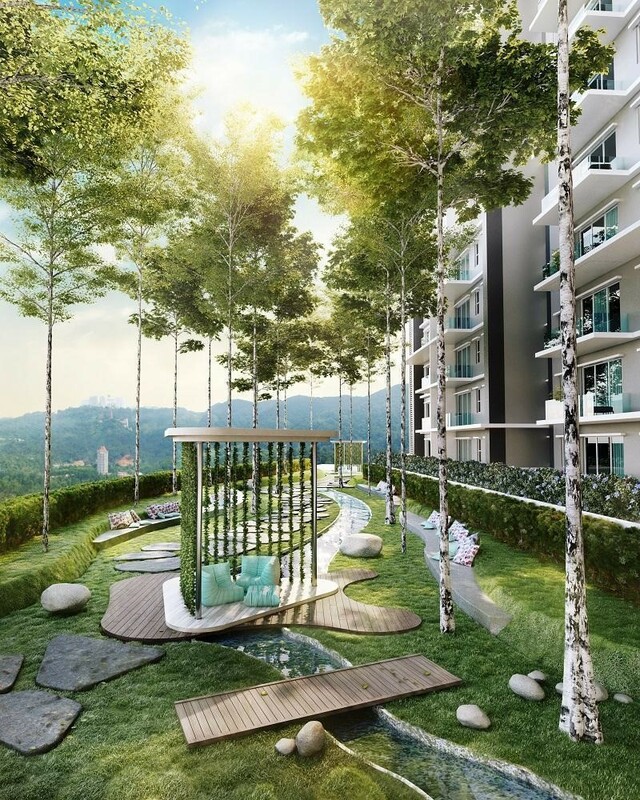 Situated along the hills within 15 minutes-drive to Genting Hilltop and just five minutes away from Gohtong Jaya, the cable car station, Awana golf course and Strawberry Farm, Windmill Upon Hills promises a top-notch living experience to residents. With a total gross development value of RM711mil, the 5.57-acre freehold serviced apartments start from RM560,000. 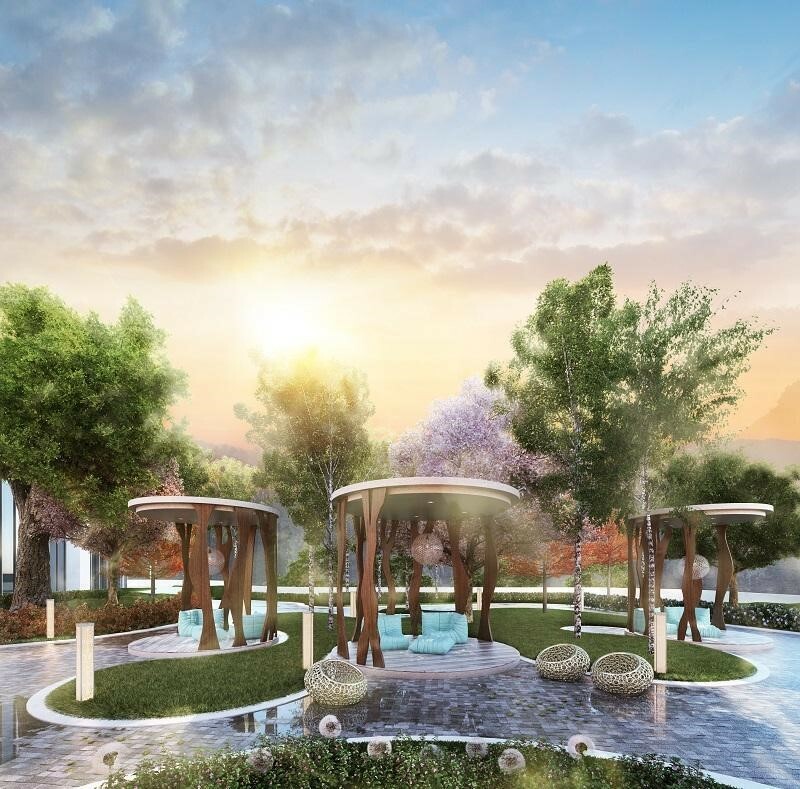 Bringing health and wellness right to the doorstep OSK Property Holdings Bhd’s Windmill Upon Hills boasts a full range of facilities that cater to mindful living. The Rejuvenating Deck consists of Dandelion Pavilion, Tea and Party Garden (Bird Cages Garden), Lepak Garden (Hammock Swing), Children Playground, Parcourse, Jogging Tracks, Hot Spa, Outdoor Gym, Reflexology Footpath, BBQ Area, Squash Court, Tennis Court and Games Room. 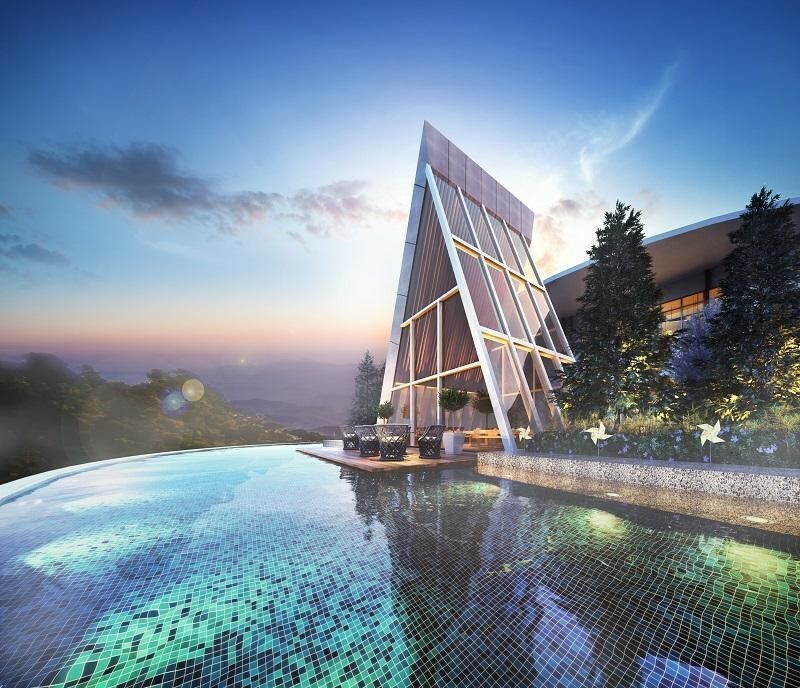 Life at Windmills upon Hills is further enhanced with its Rooftop Sanctuary that boasts a Lap Pool, Hot Spa, Jacuzzi, Sunken Deck, Cabanas, Sky Gym, Celebration Alcove and Luna Bar. Residents also have access to Terraced Garden that consists of Brooks & Bridges and The Forest Playground. Windmill Upon Hills stand on high land overlooking lush greenery. Adding value to the lives of residents Windmill Upon Hills also focuses on upgrading the quality of residents’ lives through convenience and connectivity. Genting Highlands is a highly popular highland getaway among the city folks. As the “City of Entertainment”, Genting Highlands is equipped with a plethora of facilities and amenities. The Hill Top houses a theme park, casino, entertainment, cinema, dining, and retails. Various famous food and beverage outlets such as Starbucks as well as amenities such as cable car, golf course, and an international boarding school are also in the vicinity. Residents will be just five minutes’ drive away from Gohtong Jaya with a wide array of famous food and beverages outlets. The availability of this convenience is deemed as one of the main plus points of the development. Visitors are known to enjoy a game of golf in the crisp mountain air all year round at this serene high land. Genting Highland is a perfect chilling spot for a relaxing getaway with family and friends. Amidst the refreshing cool weather within 19°C to 25°C and serene environment, the lush greenery highly appeals to the visitors. More grandeur is brought to the development and its residents by remarkable projects such as the upcoming 20th Century Fox World Theme Park, newly opened Genting Premium Outlet and cable car station with a holding capacity for 100 gondolas. The Astera Terrace for residents to relax and unwind in the crisp mountain air. Apart from the facilities and amenities aimed to make the lives of resident fulfilling, Windmill Upon Hills also provide full range of facilities that highlight the refreshing weather and lush greenery for ultimate rejuvenation of residents. With the spring-like weather, the residence is set to be a perfect spot for residents to recharge. Allocations of space for family, small functions and big group gatherings in Windmill Upon Hills makes it a perfect setting for reunions and celebrations. The Celebration Alcove: A unique space for gatherings and celebrations with family and friends. With built-up sizes ranging from 688 to 1238 sq ft., Windmill Upon Hills comes in various types such as suite; two bedrooms serviced apartment and duplex with dual and double dual-key system that provides a plethora of choices for potential buyers. Also, with security features such as a guard house and card access to the private parking lot, it ensures that safety is well taken care of in this residence. Find out more at www.windmilluponhills.com or call +603 – 6100 2339 to find out more.